Husqvarna's yard tractors offer premium performance with quality results. Their compact size makes them easy to maneuver and require less space for storage. Features such as fender-mounted cutting height adjustment, adjustable seat and an ergonomic steering wheel make these tractors simple and comfortable to operate. Pedal operated hydrostatic transmission for smooth, variable forward and reverse speed. Air Induction mowing technology improves airflow within the deck, ensuring a clean, consistent cut every time. For added versatility, all models can be equipped with a range of towable accessories and mulch kit for effective lawn fertilization. 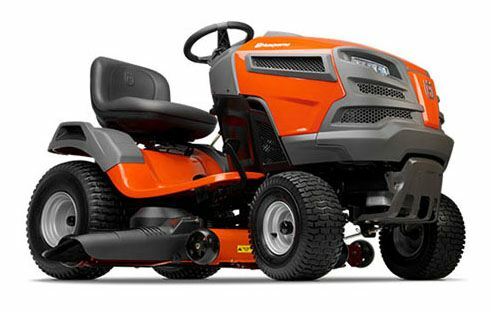 HIGH BACK SEAT: The high back seat offers added comfort and support while mowing. Can be supplemented with armrests. LED HEADLIGHTS: Gives over 50% larger lighted area compared to traditional incandescent lights. For safer operation in darker conditions. 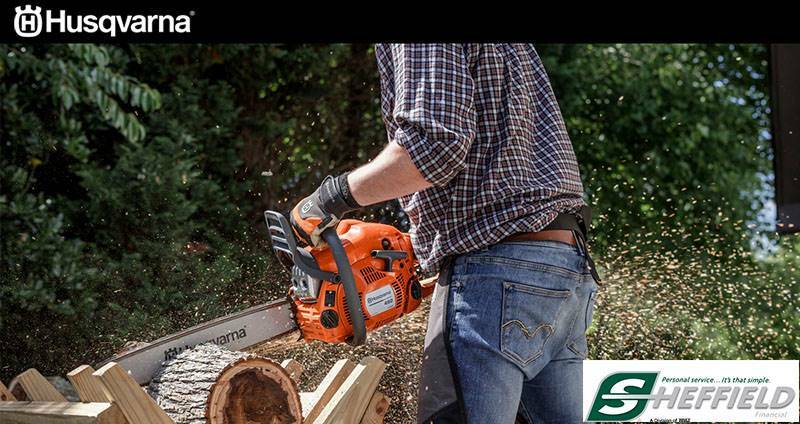 FENDER-MOUNTED CUTTING HEIGHT ADJUSTMENT: Convenient fender mounted deck lever is spring assisted for easy operation. CAST IRON FRONT AXLE: Heavy cast front axle provides superior balance and stability, even with a collector. HOUR METER WITH SERVICE MINDER: Indicates when it's time to service your mower. DECK WASH PORT: Connect your water hose to the port to clean the underside of your deck. POWDER-COATED CUTTING DECK: Powder-coated deck for improved durability and corrosion resistance. LARGE, WIDE REAR TIRES: Improved traction and less risk of damaging delicate ground. ERGONOMIC STEERING WHEEL: Comfortable steering wheel, angled for optimal driver’s position.